Show your form headers and headlines differently by animating them when the form loads. 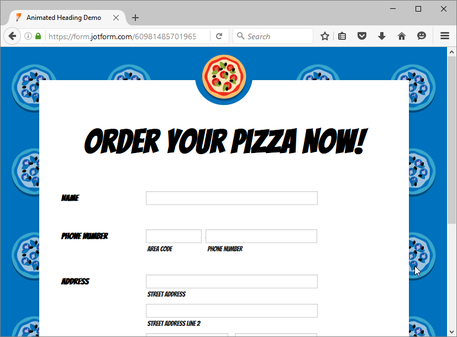 It helps your form users focus on what your form is about, or in bringing attention to a headline or tag line. 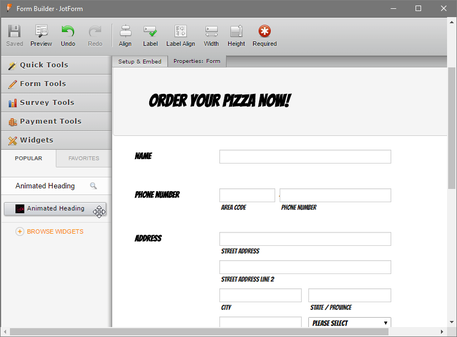 The widget is easy to configure - only requiring your headline text. 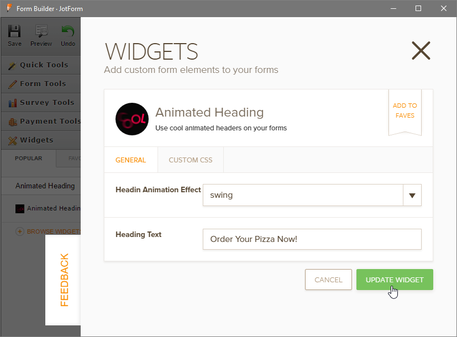 You can then pick the preset animation you would like your form header to open with. It would be great if it allows selecting the font colours! Otherwise a great widget! @yagneship It's actually possible to change the font color via the widget's CSS tab. If you need help with this, please post it on our forum. Yes please help me customize font!